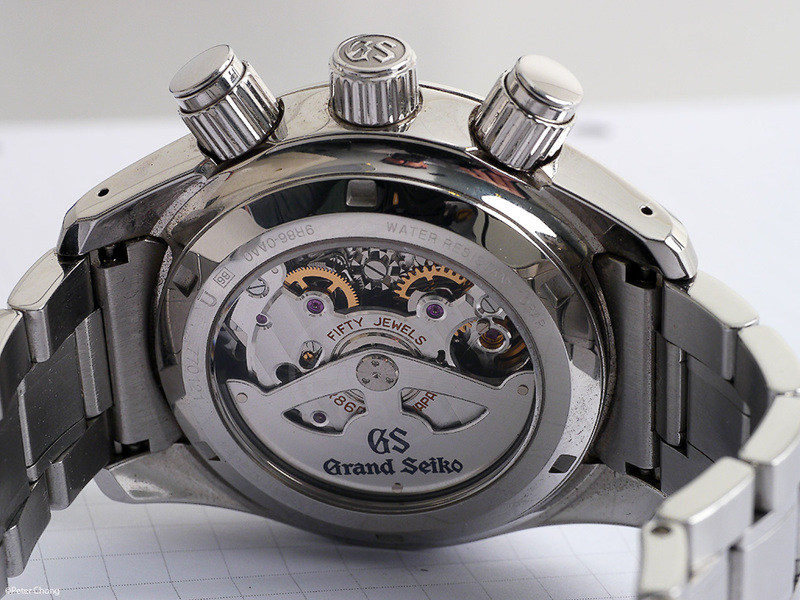 A closer look at the magnificent Grand Seiko Spring Drive Chronograph. 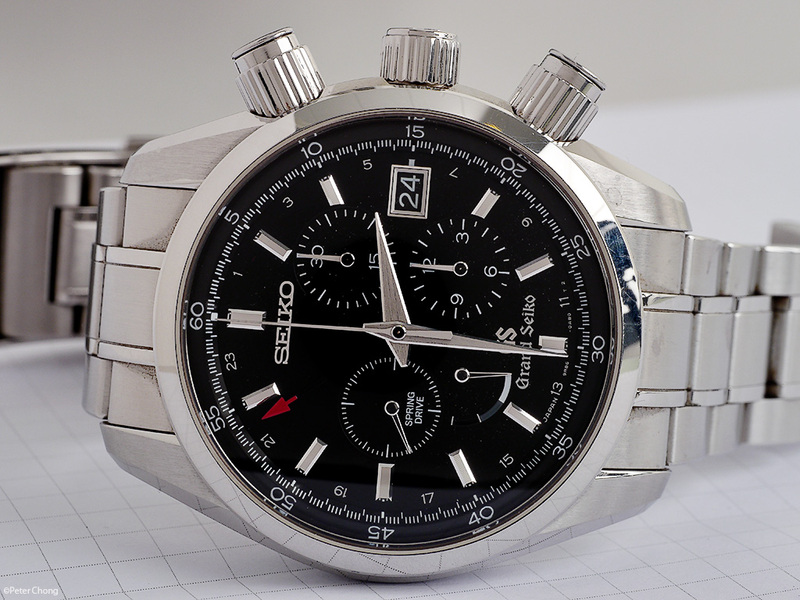 One of my favourite watch making house is the often overlooked Seiko. 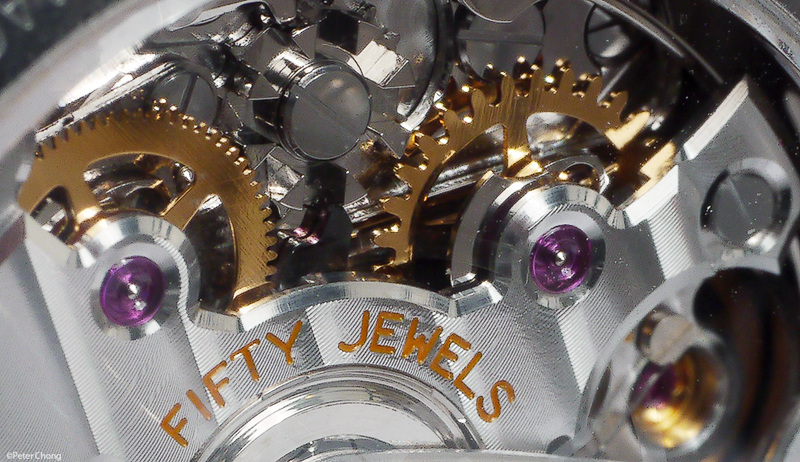 They have a long history and tradition of making fine timepieces as well as of innovation. But most collectors focus too much on Swiss timepieces. But yes, Virginia, excellent watches do come from outside Switzerland. Germany, and increasingly England, and of course Japan. I visited the Seiko manufactures at Shiojiri some years ago. In addition to their factories which make millions (yes millions) of low end, quartz watches scattered all over Asia, they maintain two high end facilities. One in Morioka and another in Shiojiri. And today, being the start of the BaselWorld 2012, I thought I'd feature my own personal wristwatch - the Grand Seiko Spring Drive Chronograph. The Morioka factory specializes in the mechanical Seikos. Which are utterly traditional in their manufacture. Looking, and feeling like any well made, in-house Swiss watch. 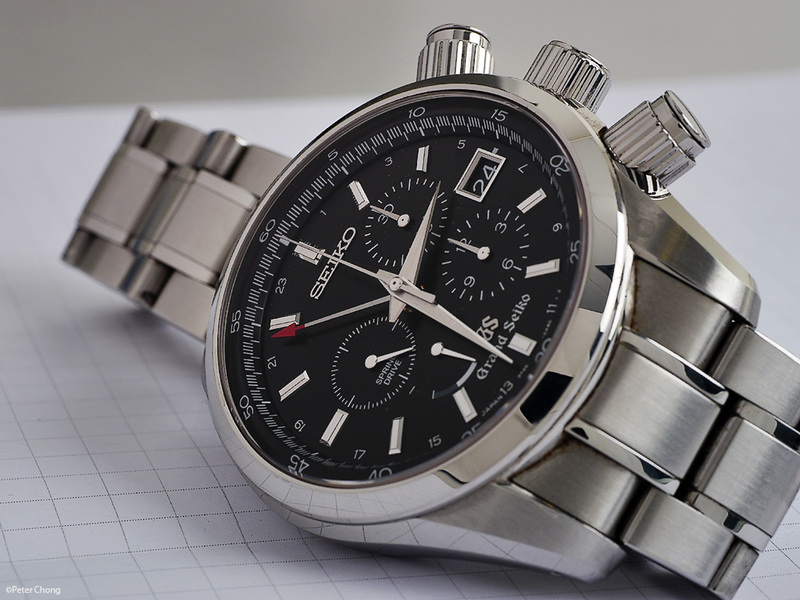 Everything is made in-house, as Seiko does not import parts from the usual suspects. 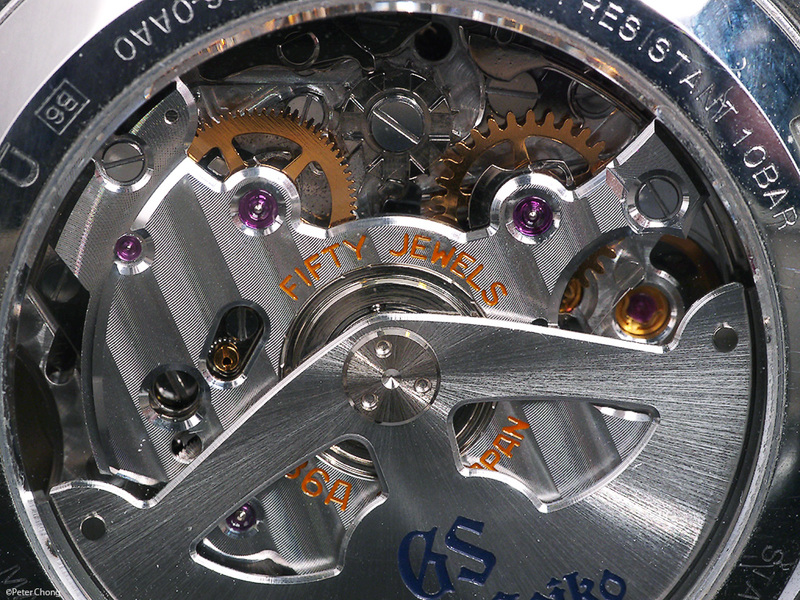 The dials, hands, cases, movements, balance springs are all Made in Japan. I featured one such watch: The SGBM003, GMT watch in an earlier post here. But in the Shiojiri plant, which also houses the Epson printer factory. This vast complex also makes everything they need under their roof. From quartz ocillators to jewel setting. Casemaking, dialmaking, hands, everything needed for the movement is made on premises. Within here they also manufacture the innovative Spring Drive watches. 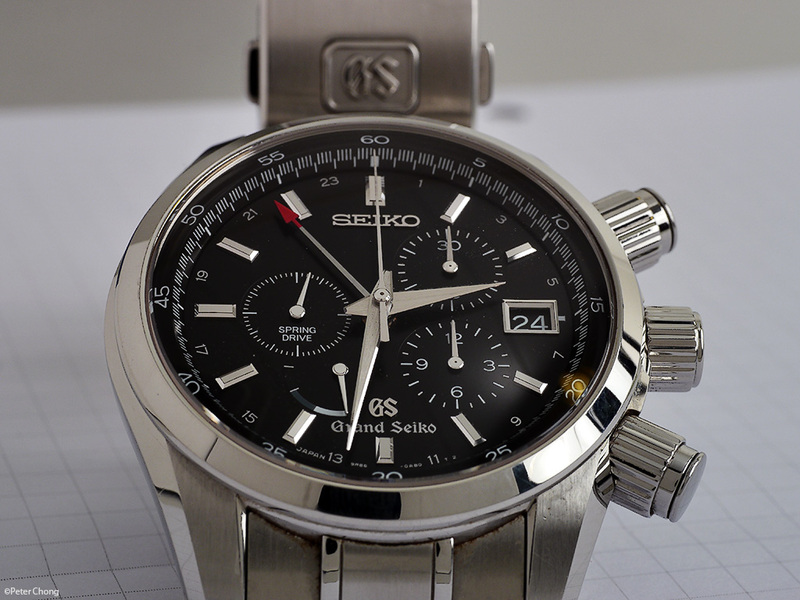 I earlier featured one of the watches manufactured in Shiojiri: the Grand Seiko SBGE001 - GMT Spring Drive here. I guess because it is part of a much larger electronics manufacture (Epson printers), the entire assembly area for the Spring Drives are in a Class 100 Clean Room. I haven't seen many factories where the entire assembly takes place in a clean room. Lange's facilities in Glashutte uses clean room technology only in the areas where they assemble the hands to the dials and encase the movement. 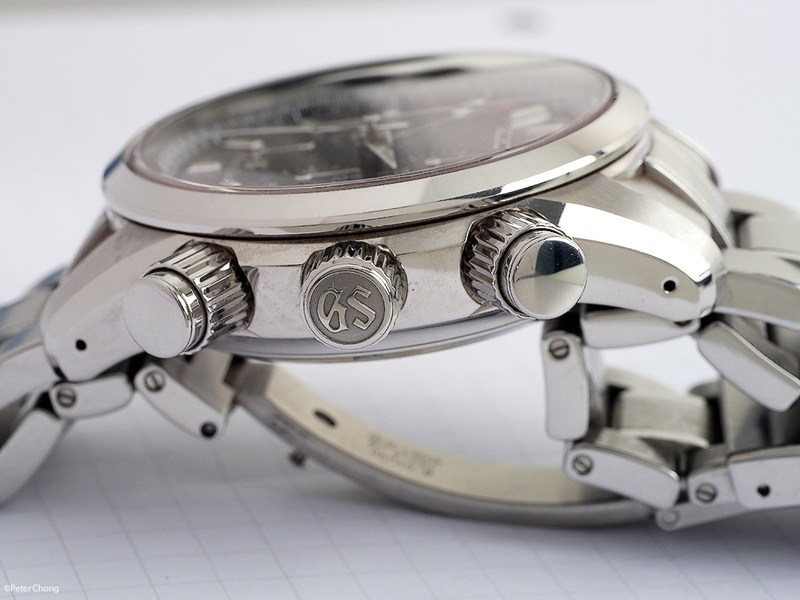 Each watch is assembled atelier style. I managed to find the two ladies who made my watch. One assembled the movement and the other assembled the bracelet and case. Brilliant! These are photographs of my own watch, well worn and used over several years. Photography was taken in La Chaux du Fonds, Switzerland. The watch is a large chronograph, with the mesmerising sweep, silent seconds hands. Attention to detail in every single aspect of this watch is amazing. The dial is clear, legible. Case measures 44mm in diameter, and sits well on my wrist. The bracelet is beautifully finished...links are massive stainless steel and well polished. Traditional finishing techniques are abound. Cote Geneve...or perhaps in this case Nagano stripes..are beautifully done. Polished column wheel. Beautiful finish. Beautifully done anglage. Well set jewels. Some complained the chrono pushers are too large...but for me they are perfect. The chrono pushers are smooth, and glides. In comparison, the Datograph pushers are yet smoother, but the illustrious Lange is a different kettle of fish...competing several price classes higher than the Seiko. Click on the image below for a 1920 wide desktop background image. p.s. The Shiojiri plant also houses the Micro Artisan Studio...where 10 qualified watchmakers focus on making perhaps 10 watches per annum....from this amazing studio comes the Credor Sonnerie and the Credor Eichi. Magnificent products to rival the highest end watches made in Switzerland. I featured the Credor Eichi in an earlier post here.